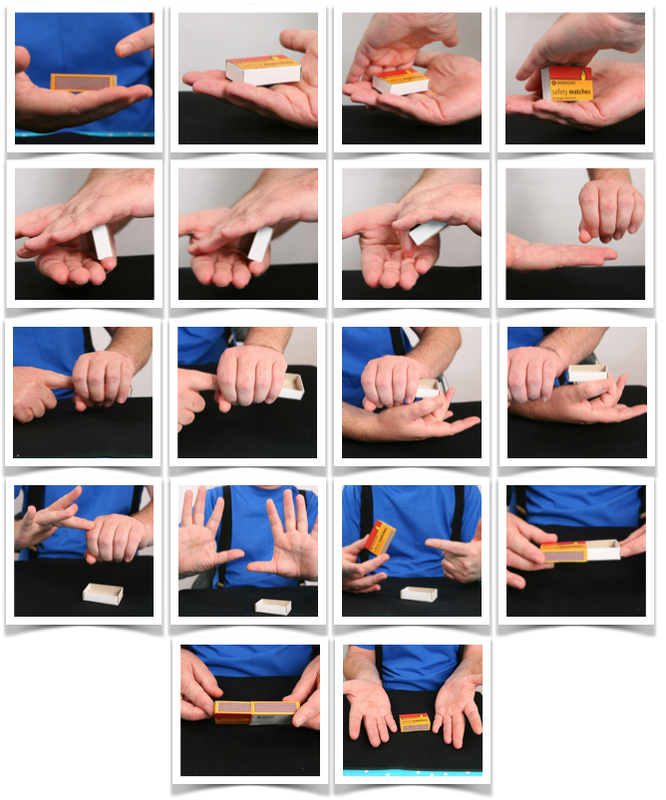 The disappearing matchbox is a really cool magic trick that you can make yourself and have loads of fun with. 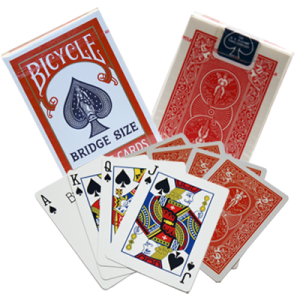 With this trick you will be learning a basic principle in sleight of hand. You won’t need the matches, just the two empty boxes. Empty the matchboxes. 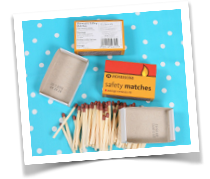 You can throw the match away or keep them somewhere safe for future use. 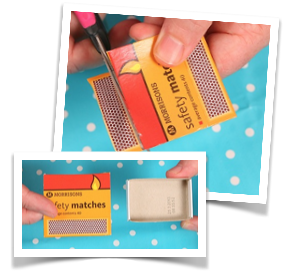 Cut along the side of the matchbox’s sleeve as shown in the picture. Cut the ‘bottom’ of the sleeve off (see the picture). Now cut one of the ‘lighting’ sides off. You are left with the ‘top’ of the sleeve and one side of the ‘lighting’ sides and the tray that the matches were in. 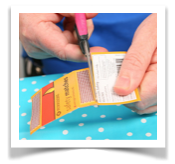 Cover the back of the matchbox sleeve with glue stick. Cover the bottom and one side of the tray with glue as well. Stick the sleeve onto the tray like shown in the picture. 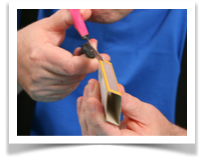 Trim the edges of the sleeve off where they are sticking over the sides of the tray. 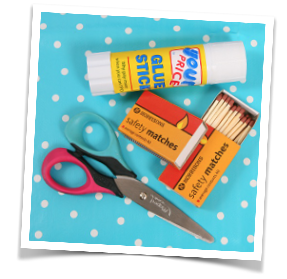 You have made your ‘gimmick’ for the disappearing matchbox trick. Practise this trick as it needs a little bit of sleight of hand. 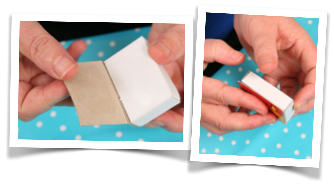 Follow the pictures below step-by-step to learn the handling of the disappearing matchbox. This is another great performance! You fooled me and I know the kids are gonna love it! Hold the matchbox up in one hand and the coin in your other hand, so that the audience can see them both.